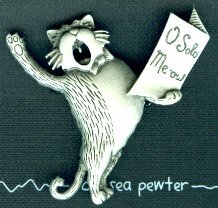 This pewter cat pin features a singing cat. Notice the tonsils. 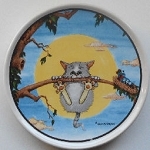 The cat pin is 2" square and because it is pewter no polishing is needed.